Since 2007, we continuosly improvised and improved our modules to increase its effectiveness. They have now become a proven learning system for creating champions. 1st Steps is a Creative Approach for 4 to 7 year olds to learn archery through lots of play. 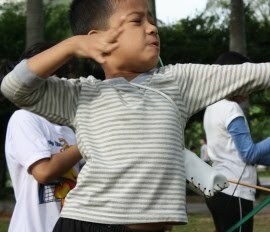 This class lets the young aspiring archer to explore his/her potential in a relax, fun, protective environment. Our track record proved that it's best to start them young to hone their instinctive skills and let them naturally grow into champion archers. Only blunt arrows are used for 1st STEPS archers. 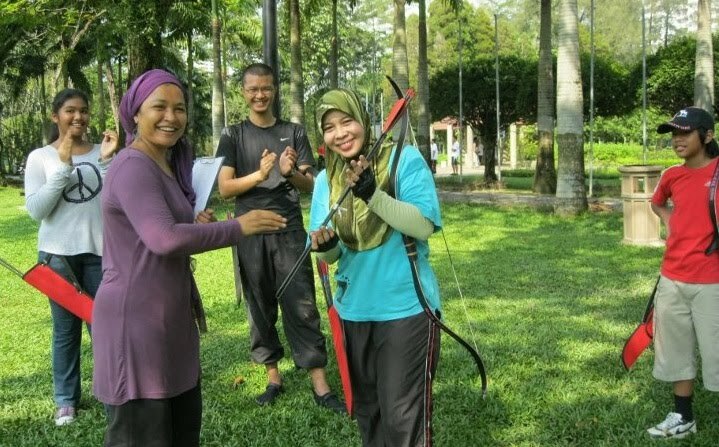 In the 3 Hour Clinic, you will learn the basics in traditional style archery. It will also give you an idea of how you may practice archery on your own. This clinic is conducted once a month. Please refer to our page on Facebook. Click here for available dates. Max students per clinic : 20. Min age : 8 years and above. In the Foundation Class, you will be introduced to the mastery of draw, accuracy in range & elevation, marksmanship, speed shooting and instinctive shooting. It will prepare you for the next level in our programme up to Horseback Archery. The Foundation Class is a continuous programme consisting of 12 practice sessions per cycle (1 hour per session).